Rotten teeth are simple words for tooth caries and other dental problems which are leading to a horrible and unhealthy appearance of your mouth. Well, you are not alone, rotten teeth are a major problem that affects millions of people around the world. There is an established belief that the rotting teeth are more prevalent in underdeveloped societies and the consequences of poor oral hygiene, but it is not exactly true, another important factor is the genetic predisposition. Rotten teeth are the consequence of the demineralization of tooth enameled surface by the acid generating harmful bacteria that eat in the human mouth. The erosive capability of this bacteria is the reason why tooth enamel look stained and often translucent. In best circumstance, the acid, the cause of rotting teeth is going to form a small dental cavity. If it is not taken care of, tooth decay can lead to toothache, bacterial infection, and tooth loss. Consuming foods that are rich in sugar or sucrose and other carbs, establish the ideal ecosystem for the development of the harmful bacteria liable for rotting teeth. This to some extent clarifies the disturbing number of kids who experience tooth decayed. We have to make an effort to practice optimal oral hygiene by brushing at least three times every day and flossing one time every day and we must visit dental office for checkups and dental cleaning. Anything less may give the bad type of bacteria the possibility to flourish in our oral cavity. Fluoride helps prevent rotten teeth by making tooth enamel a little more resilient against acids made by tooth plaque. Fluoride is added onto almost all public water supplies and all scientific tests up to now have shown significant improvements in public dental health with hardly any risk of poisoning. Fluoride is one of the major components of toothpaste. Saliva washes away nutrition and destructive sugars, therefore helps protect your tooth enamel. A lack of healthy saliva can be a result of a medical condition for instance dry mouth, or by using certain medications. Older people are more inclined to have a lack of saliva and and they are more subject to dental problems like rotten teeth. The bad genetics we have can outweigh excellent dental habits and leave an individual at risk from dental difficulties. On the other hand, excellent dental habits are going to help with keeping bad genetic effects under control. Just like with nearly all health problems, environmental conditions often have some kind of influence. People under intensive stress are in dangerous to have rotten teeth. The emotional stress could potentially cause modifications in the protective enzymes in saliva enabling sugar acids to be a little more harmful. A pulpitis or tooth pain, which happens to be the most typical symptom. Gum inflammation close to a painful tooth. This is often an indication of extreme tooth decay or perhaps an abscessed tooth. Halitosis or a nasty taste in your oral cavity. White colored, gray, dark brown, or even black colored areas on your tooth enamel. Lets for a moment forget about esthetic reasons which are causing the feeling of shame. The main reason why we have to fight against is influence of rotten teeth on general health. For example there is a link between oral health and heart diseases like bacterial endocarditis, and not just heart diseases, according to focal infection theory rotten teeth have influence on every part of human body throughout the blood. Rotten teeth or swollen gums could possibly act like a doorway enabling the HPV get into the human body, at the same time individuals with excellent oral health don’t have those doorways therefore even contact with HPV doesn’t cause an infection. If you’ve done everything you possibly could in order to preserve your natural teeth, and yet you still fail, then it’s time to take them all out. It’s better to remove them all than to risk further deterioration of your overall health. Dentures are the next logical step. Better solution are fixed dentures on a dental implants or detachable dentures on a mini dental implants and do not be ashamed of the dentist, it’s very unlikely that your dental professional hasn’t seen rotten teeth as bad as yours. 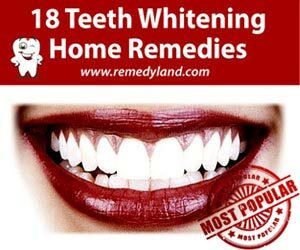 What causes yellow teeth and how to get rid of yellow teeth. Research has shown that having yellow teeth whiter may increase your self esteem.